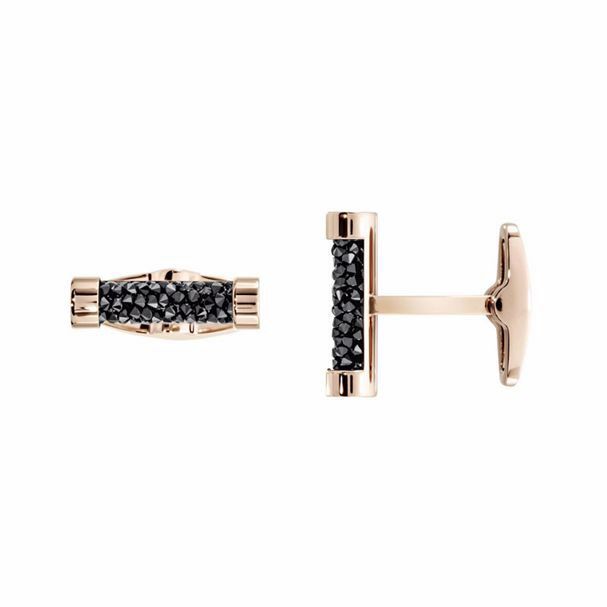 Clothes make the man; a pair of cufflinks seals the style. This stunning design is characterized by the subtle use of our exclusive rolled Crystal Rocks technique. Crafted in rose gold PVD metal and encrusted with a dusting of black crystals, the clean and crisp silhouette is full of sophisticated style. Unique and imbued with Swarovski’s inimitable quality, they would make a wonderful gift this season.